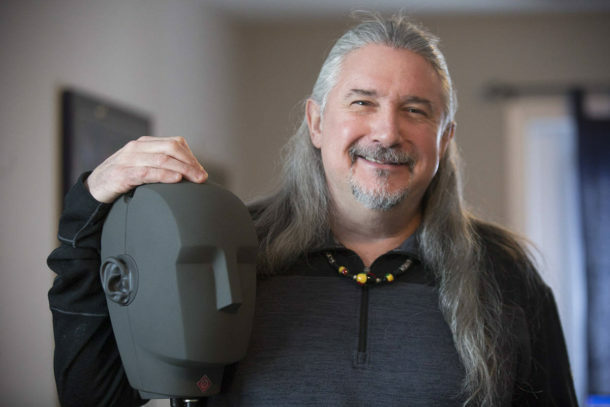 The Yukon News featured Matthew Lien on its front page and full page story, discussing his return to Whitehorse to reopen a recording studio there, and his pursuit of binaural recording. With the tag line, ‘First of all I can get you out of my head, and then I can put you in the Taj Mahal’, the article explores Lien’s new and groundbreaking binaural recording techniques published recently by the Audio Engineering Society (AES), and which is at the heart of his new album production. 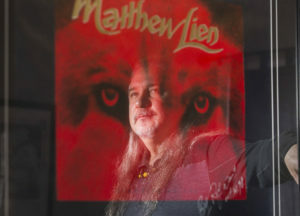 Crystal Schick/Yukon News: Recording artist Matthew Lien is reflected in a re-creation of his first international album cover hanging in his home studio in Whitehorse on Jan. 31. The new approach to music production is suitable for both small and large scale production, making it ideal for recording Yukon musicians.